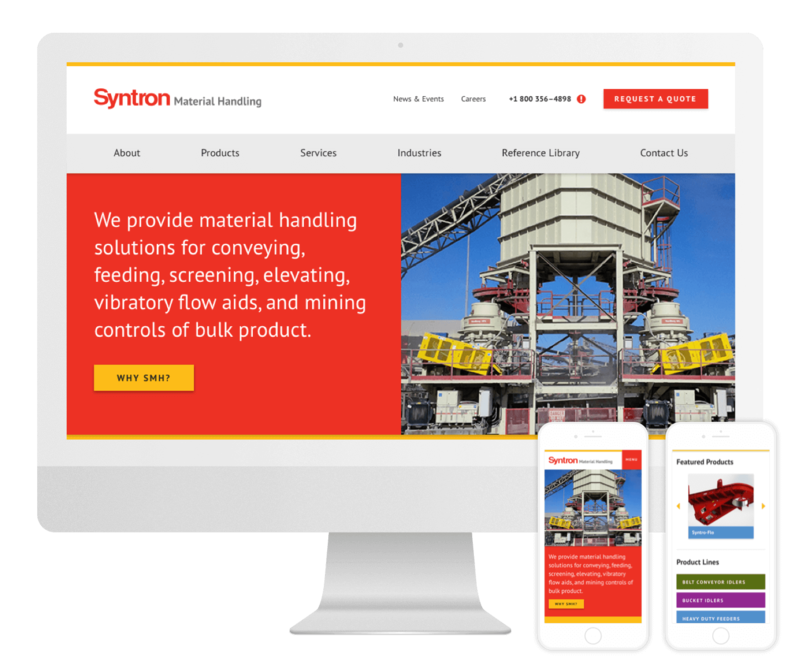 A clean, easy-to-navigate web presence for a leading industrial company with a wide range of products and services. Syntron Material Handling is a provider of industrial products for large-scale projects in a variety of industries. Syntron’s previous website wasn’t doing their users, and thereby the company, any favors. It was built on top of a WordPress template that restricted them from implementing any custom design or advanced functionality they needed to drive sales. My coworker—who specializes in SEO—and I conducted a thorough audit of the website and found that not only was it not optimized for mobile or search in any way, but it had very poor user experience and almost no brand recognition. 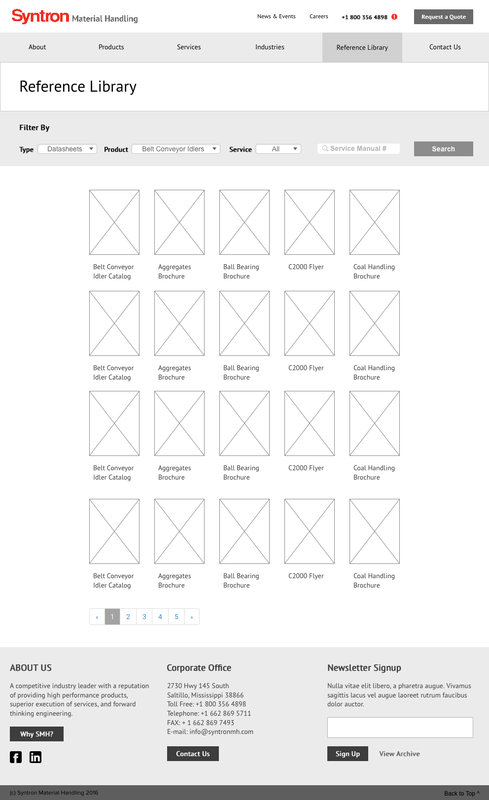 Syntron’s previous website wasn’t doing their users, and thereby the company, any favors. It was built on top of a WordPress template that restricted them from implementing any custom design or advanced functionality they needed to drive sales. My coworker, who specializes in SEO, and I conducted a thorough audit of the website and found that not only was it not optimized for mobile or search in any way, but it had very poor user experience and almost no brand recognition. 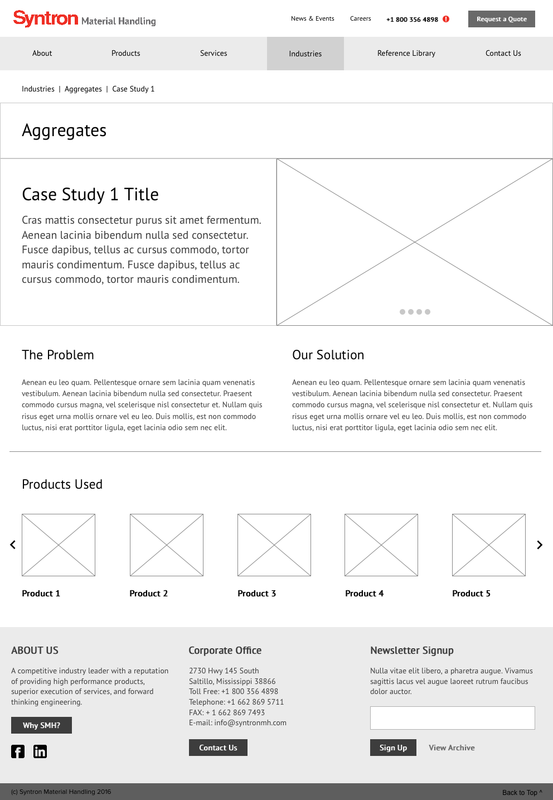 The original website in all its WordPress template glory. 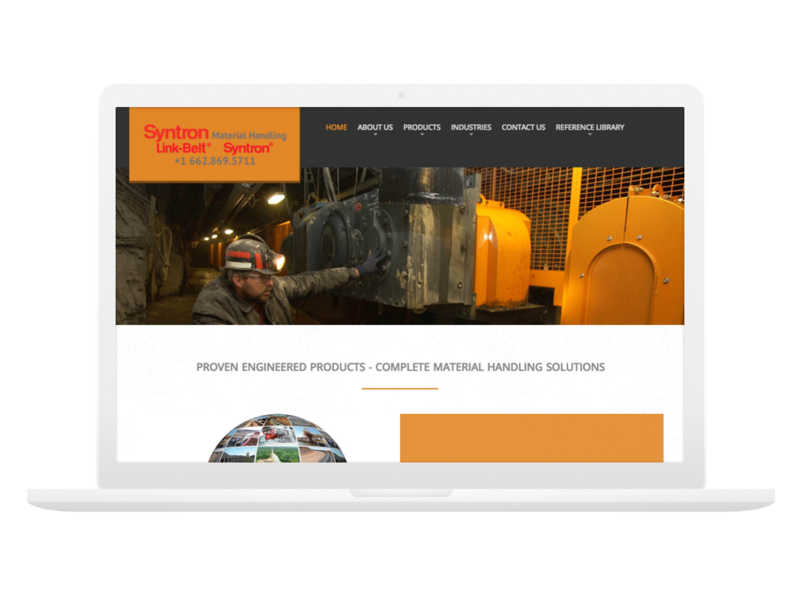 Instead of attempting to build on top of the existing WordPress site, Syntron decided to start from the ground up. 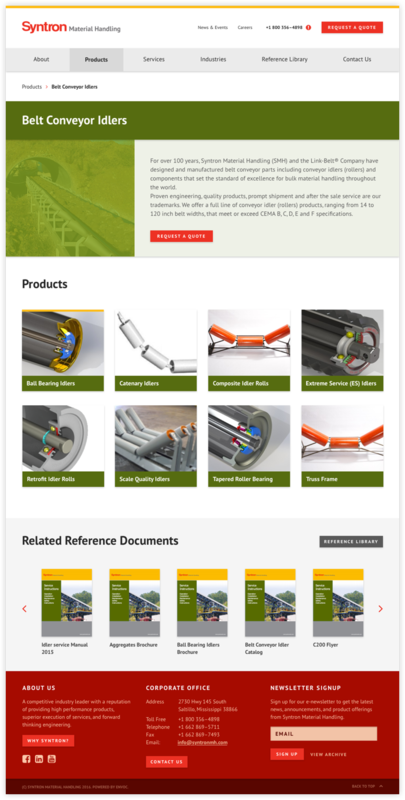 Our task was to design and build a custom website to support their large amount of content that allowed for easy product searching and the ability to find reference documents and get custom quotes quickly. 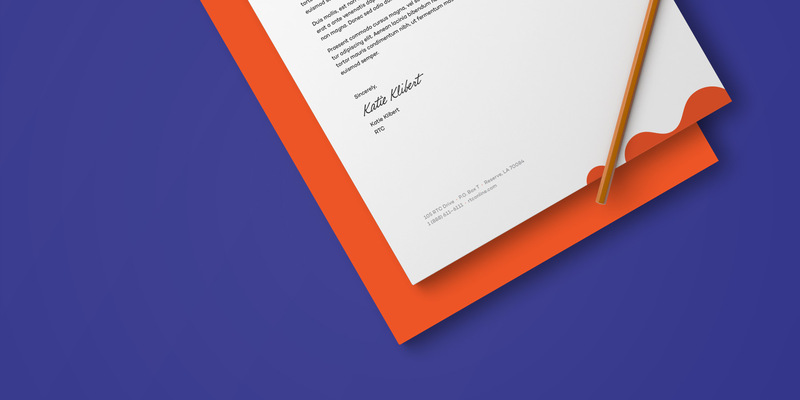 The goals of this project were to create a strong brand presence online that mirrored their well-designed printed materials, be perceived as leaders amongst the competition, and create a smooth user experience throughout the website. 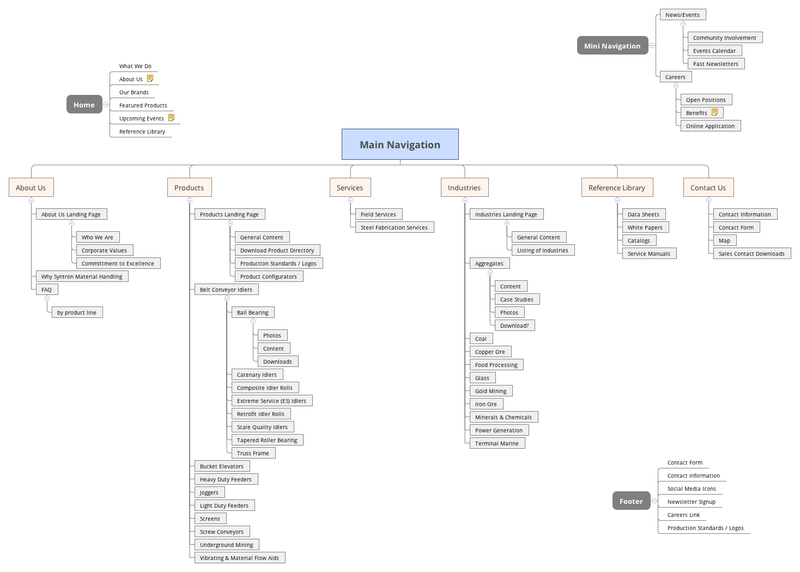 I created a sitemap to organize the large amount of product content. A new section, “Industries,” was added to showcase Syntron’s work in multiple industries in the form of case studies, as well as other new pages that weren’t previously on the site: FAQ, Careers, and News & Events. I used a modular, blocky, straight-line approach to appeal to the engineers and no-nonsense executives that would need to find information quickly. Using the established brand color palette, I applied color-coding to each of the product lines that would make it easy to identify groups of products and their related documents. The rest of the site would use only a few primary colors to keep the focus on the products. 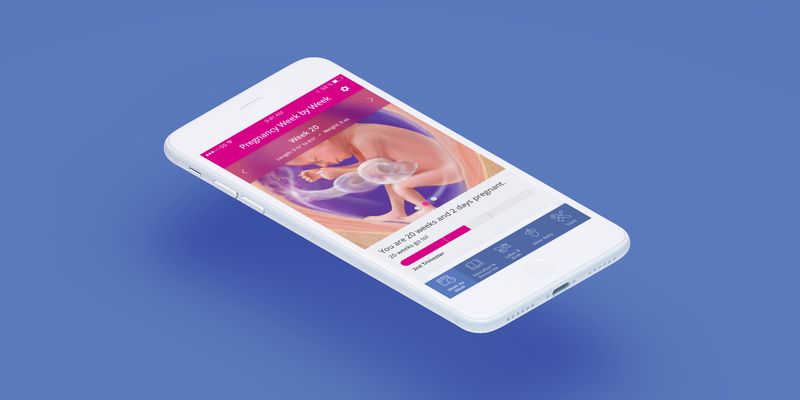 The final design is polished and reflects the Syntron brand through color and a strong grid layout. 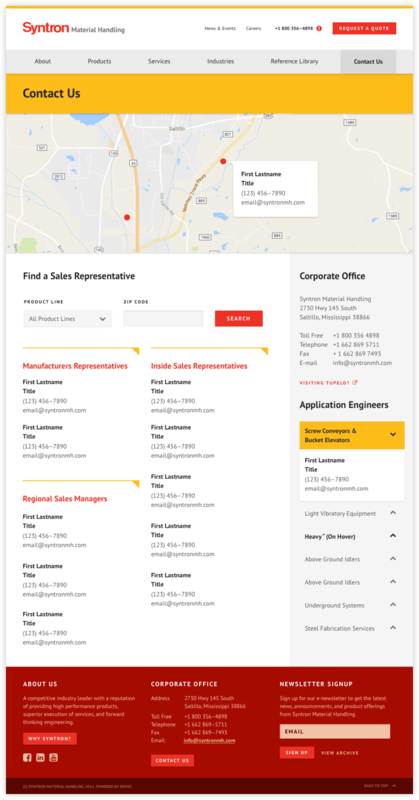 Users can easily navigate through product categories, request quotes, and even use a custom-developed tool to help them find exactly the right product part. The final design is polished and reflects the Syntron brand through color and a strong grid layout. 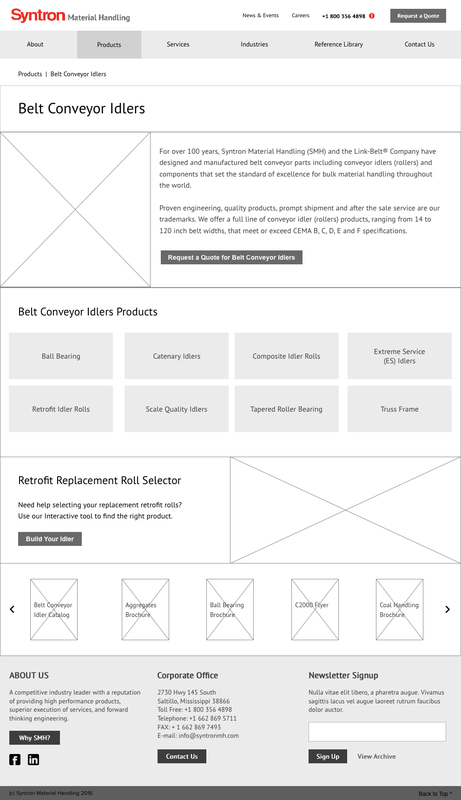 Users can easily navigate through product categores, request quotes, and even use a custom-developed tool to help them find exactly the right product part.